The Title "True Tales and Amazing Legends of the Old West From True West Magazine 1st Edition" was published in the year 2005. The ISBN number 0307236382|9780307236388 is assigned to the Paperback version of this title. This book also comes in Paperback . The book displayed here is a 1st Edition edition. This book has total of pp. 192 (Pages). It is a multi volume book, other associated volume(s) is/are True Tales and Amazing Legends of the Old West From True West Magazine . The publisher of this title is Clarkson Potter. 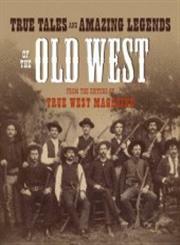 True Tales and Amazing Legends of the Old West From True West Magazine 1st Edition is currently Available with us.